The GDPR Portal is a tasked based application allowing your organisation to work to timescales via bespoke Action Plans to help map and track your compliance journey allowing you to share this with other team members. Work systematically through the compliance programme, ensuring full transparency with integrated stakeholder involvement. 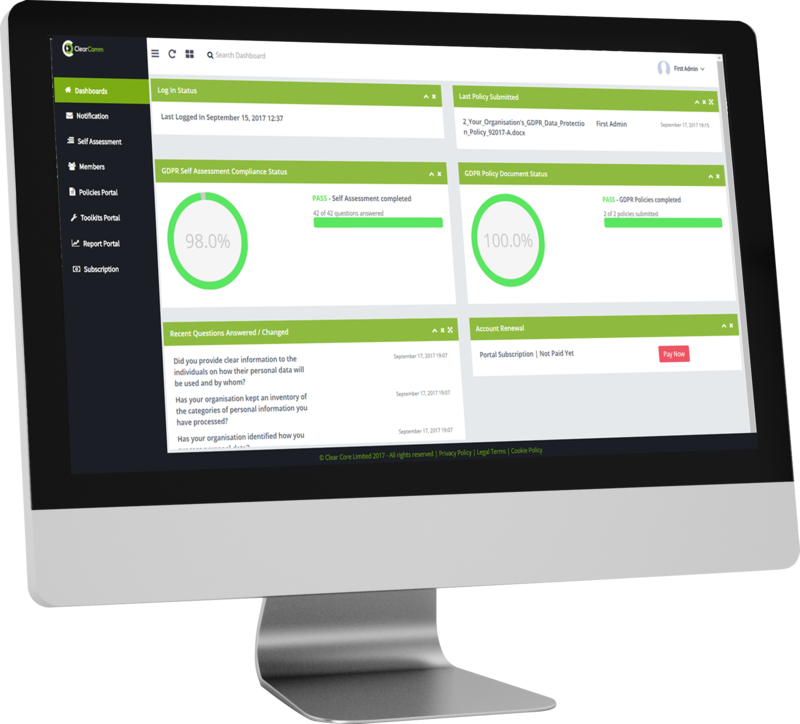 The dashboard offers your organisation instant reporting on your current compliance status including your Policy and Procedures plan, as they are created. Powerful tools designed to make becoming GDPR compliant quick and easy. Our mission is to make your process of becoming GDPR compliant as quick and easy as possible.